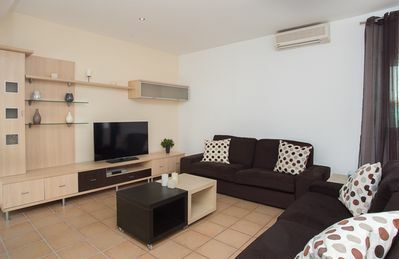 *For environmental and energy savings, this villa has time air conditioning to ensure you have air conditioning during the middle of the day and throughout the night. 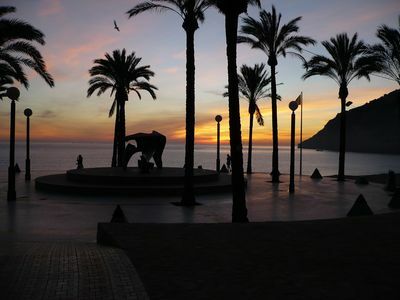 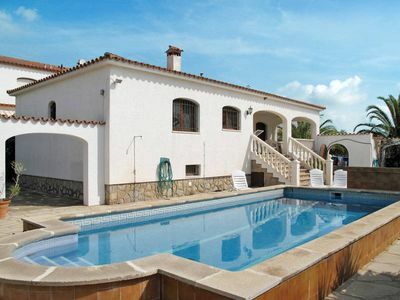 This is a beautiful 5 bedroom property located in Balearic Islands, Spain. 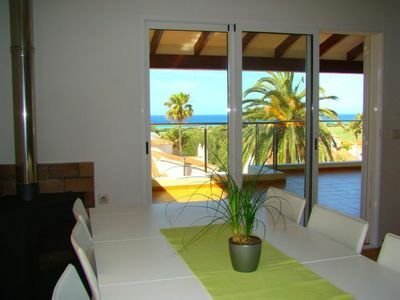 This villa, in s'Horta, is a comfortable property sleeping 10 people. 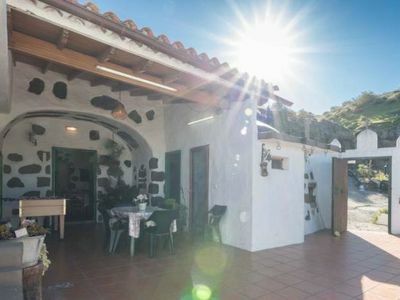 The property has 3 bathrooms. 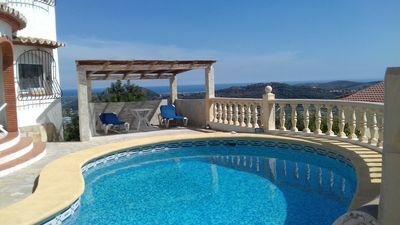 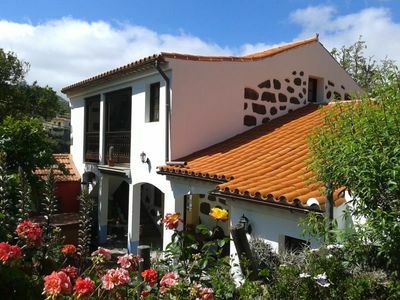 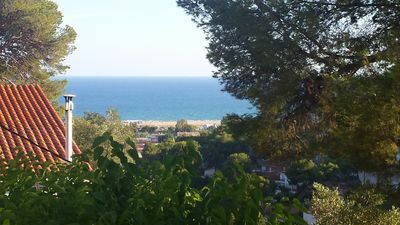 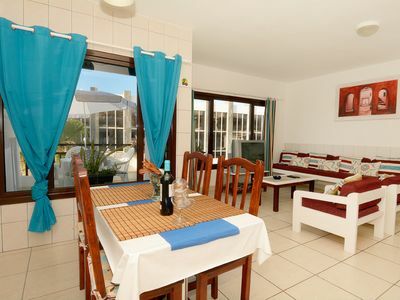 The villa offers superb accommodation, including modern luxuries such as a swimming pool, internet access, table tennis, air conditioning, DVD player, television, covered terrace and an open terrace. 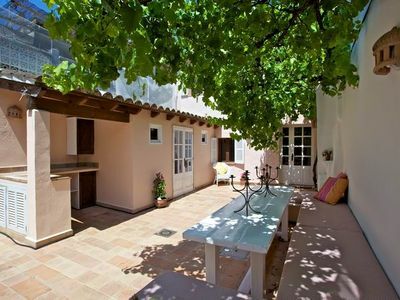 You can bask under the Spanish sun in the villa’s beautiful covered terrace, open terrace and garden, making use of its barbecue. 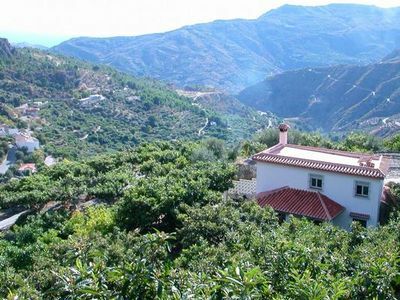 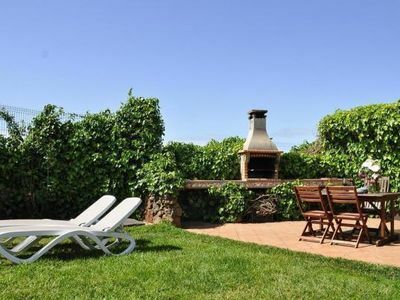 You can drive down to the nearest beach in this Spanish villa, which is 4000 kms away. 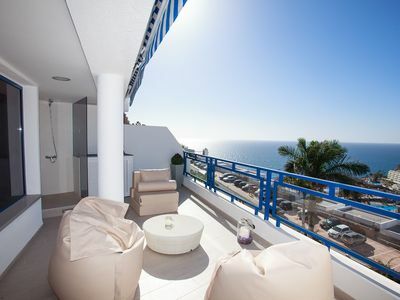 Modern designer apartment with large terrace and view of the sea!